Polish and Charms: I'm back! Hello there!!!! I have decided I am going to start easing back into blogging...I have some really fun polishes to share with you guys!! 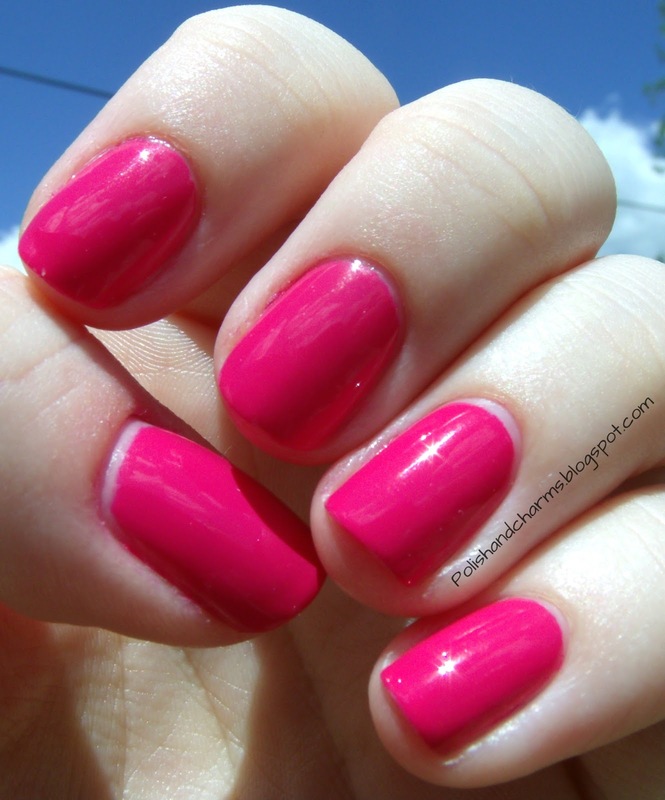 So for my first post back I am going to start with a simple pretty pink that is perfect for the summer! This is Pure Ice Flirt Alert. What you see is 2 coats. Enjoy! This is a gorgeous. hot and vibrant pink! :) It's feels good to be back! Thanks! I'm looking forward to seeing more of your posts! This color is beautiful!! Thanks! I am getting excited about posting again! welcome back! this is very nice! This is such a fun pink! God, I love fuchsias like this one! Great comeback colour! I love it too! So vibrant!